Reddy told media persons that Congress was currently planning 12 massive meetings as part of their campaign. 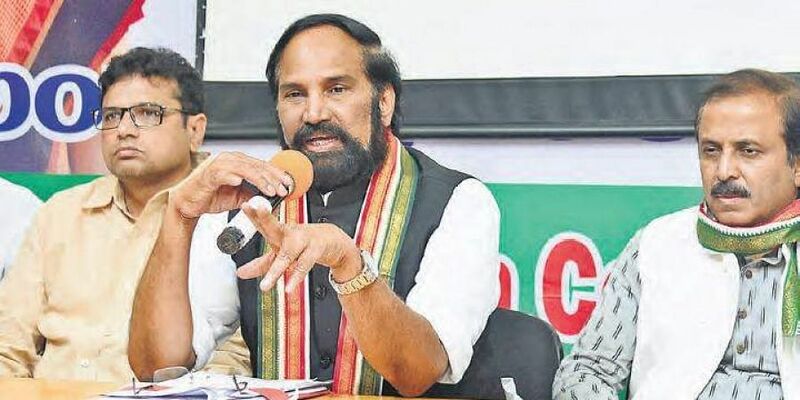 HYDERABAD: TPCC chief N Uttam Kumar Reddy on Friday expressed confidence that the grand alliance would win more than 80 seats in the upcoming Assembly elections. Speaking after formally inducting Bhoopathi Reddy, a TRS leader and MLC from Nizamabad district, into the party at Gandhi Bhavan in Hyderabad. The TPCC leader said that thanks to an amicable relationship between the grand alliance partners, seat sharing talks would conclude soon. “There’ll be clarity on seats in the coming few days,” he said. He said that he was sure the alliance would win at least 80 seats. “We have reviewed the situation in all 119 constituencies and according to our surveys, we can be sure of winning more than 80 seats. Also, TRS will be limited to below 20 seats. Many ruling party leaders are in touch with us and have expressed their interest in joining Congress,” he said. TRS’ end is nearing, he added. Reddy told media persons that Congress was currently planning 12 massive meetings as part of their campaign. Rahul Gandhi will address 10 meetings and his mother Sonia Gandhi would attend a couple of meetings. Leaders from other parties in the alliance, TDP, TJS and CPI, will also participate in them. “KCR has betrayed a lot of people. We will highlight these in our meetings,” he said. He added that the party had a separate plan to appeal to ‘settlers’ from Andhra. Addressing the newly inducted leaders from Nizamabad district, Reddy assured that the Nizam Sugar Factory would be reopened within 100 days of forming the government. He added that Pragati Bhavan, the current CM Camp Office in Hyderabad, would be turned into a hospital. “Though KCR’s daughter is an MP from Nizamabad, TRS failed miserably. KCR and Kavita do not have a right to ask votes from Nizamabad people. I am positive that the Congress government will be sworn in on December 12. We will reopen Nizam Sugar Factory within 100 days after assuming power,” said Uttam.